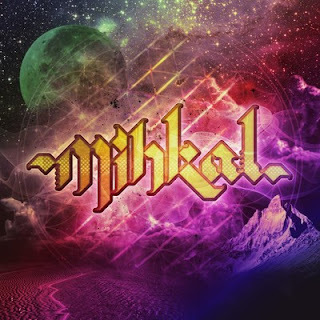 This time two years ago I found Bay area DJ MiKHAL's GH3TTO $P!RiTU4L M!XT@P3 over on Glitch Hop Forum. It introduced me to some classic tunes and built from a "nice overlaid glitch-hop that starts chilled and then begins dropping bass bombs about halfway through". His latest SNUGLiFE mix or "75 minutes of Audio Fondling" keeps the chilled vibe most of the way through, but still steers us into some pretty tasty backwaters of bass. He eases us in through Mimosa's lush remix of Breathe by Telepopmusik going really nicley into an Akira Kiteshi remix and building to take in recent epics like like Grit Shifter, Joker's Ain't Got a Name and Mimosa'S Your Love. I'm also liking the sound of Sharps and Guttstar who I've not come across before. Some of the real highlights though are the tasty mash-ups of chilled crunk classics put together by MiHKAL himself, which you can download as stand alones from his soundcloud. Check out Fine Day on the Kriptonite and Enter The Whatever.